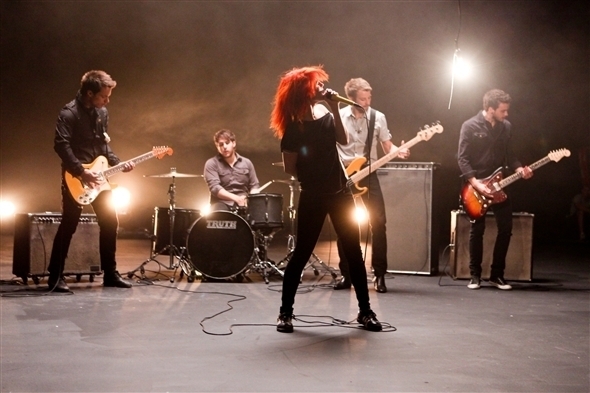 Ignorance Video Shoot 1 (Paramore). . Wallpaper and background images in the Brand New Eyes club tagged: paramore ignorance brand new eyes. This Brand New Eyes photo contains concert, guitarist, and guitar player. There might also be drummer.